The purpose of the XAMPION® Service, including Xampion for Teams (“Service”), developed by Progda Ltd (“Progda”, “we”, business ID: 2761180-5) is to help you understand and improve your sports performance. Responsibility for using the service. The buyer of the Service shall be responsible for ensuring that all persons participating in the use of the Service have provided all consents and commitments required by the Service Provider and the Finnish law. The buyer of the service shall be solely responsible on behalf of themselves and the users for complying with any and all laws, rules, regulations, tax liabilities and authorities’ orders that may become applicable for using the Service. Responsibility for the data content. The buyer of the Service shall accept sole responsibility for any and all data uploaded in the Service by them or the users. The buyer of the Service shall undertake to ensure by any means available to them that the data provided for the Service or in relation to the Service by the users is correct and exact and that all provided material complies with the law and the good practice. The buyer of the Service accepts and understands that this access right shall not grant any right to use, disclose or to give permission to use or publish any content in the Service that has not been publicly presented by Progda. The buyer of the Service accepts and understands that they shall not have the right to resell or commercially utilise the Service or its content. We shall reserve the unilateral right to delete any content from the Service and to limit any access right to the Service at any time and for any reason (including preventing a single user from using the Service). Progda shall own all intellectual property rights to the Service, the related content, equipment and overall concept, regardless of whether or not this right to immaterial property has been registered or capable of being registered (later “Intellectual property rights”). Progda shall reserve all rights to its Intellectual property rights. For the sake of clarity, any right to such Intellectual property rights shall not be transferred, disclosed, formed, or created for the buyer of the Service, except for the limited access right the Service Provider shall grant the buyer. By making any content available in the Service during the use of the Service or otherwise in connection with the Service, the buyer and/or the user shall grant Progda a global, irreversible, permanent, non-exclusive, transferrable, royalty-free license to re-license, edit and use this content in any way for any purposes. If we edit this content or combine it with material protected by our Intellectual property rights in a way that results in a modification of the content, these kinds of works and modifications shall be deemed Progda’s property and protected by Intellectual property rights. The data we collect varies depending on the services and properties that you use. Using the services included in the XAMPION® Service always requires creating a profile. Profile information, i.e. user data. 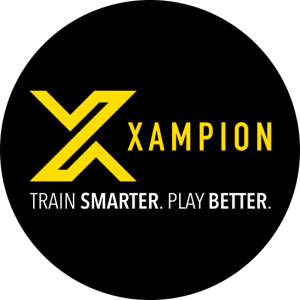 When you create a profile in the Xampion® System, you must enter the following basic information: name (first and last name), email address, nickname, team and player number. An individualised Xampion user ID is created based on the provided profile information. Device registration is linked to the user ID. Activity and practice information. Progda Xampion movement analytics platform will help you monitor your activities and practice by collecting various data on, for example, the intensity of practice, the number of steps, the number and quality of ball touches. The primary activities that can be followed are practices and matches. The platform’s metering is activated by motion and the results can be analysed with a mobile phone application. Use data. In order to provide you with the best possible Service, we automatically collect and upload statistical data on the performance and your use of the Xampion movement analytics platform to the server. Location. Progda Ltd’s Xampion device does NOT include an inbuilt GPS (Global Positioning System) property, but the user may voluntarily complement their own practice result data in connection with the practice analysis by entering location data, for example. The analytics platform is capable of metering the spatial changes related to the user’s movement. More information on the Progda Xampion sensors and the data they collect can be found on our websites https://www.progda.com/xampion_privacy_policy/ or http://www.xampion.com/privacy-policy and later in this document in chapter “Privacy protection”. Use and management. You can view and manage the data using the Progda Xampion® software. The Progda Xampion® software allows you to view and update your profile information, manage connected applications and examine past activities, for example. You can also remove activity data from the Xampion Service. When you remove a certain activity, the event is removed from the Xampion™ Service. However, the basic data collected by the sensors will remain in the Xampion™ Service. Users’ basic information is saved in Progda’s official Xampion user register. You may cancel your Progda Xampion account at any time by contacting the customer support here. Marketing. Progda Ltd may use the name of the user’s club for its own marketing purposes as separately agreed between Progda and the buyer of the Service. We shall exercise special care to ensure the privacy of the users when they use the service. The purpose of Progda’s Privacy Principles and Privacy Statements is to protect the users’ privacy and to provide a description on how the personal data acquired via the Service is collected and processed. By using the Progda Xampion™ Service or other services or applications produced by Progda Ltd, the user shall accept the Service’s Privacy Principles and the terms of the Privacy Statement. A prerequisite for using the Service is that a parent or other holder of parental responsibility provides consent for collecting and processing data concerning a minor as well as for sharing it with the coaching team. The consent can be provided here. Providing certain information mentioned in the Privacy Statement is a prerequisite for using the Service. Information provided in connection with the registry, such as email addresses, are collected so that the Service can be provided for the users. The user can decide how much other personal information they want to share with other users. One’s own privacy level can be managed with the Xampion Service’s settings. The practice diary as well as other data created in the Service are stored in the Service in the manner described in the Privacy Statement. All information pertaining to the events in a practice diary made by a coach or a managerial person can be viewed inside the Service only by the managerial person/coach of the team and the people responsible for the club’s coaching to whom the user has granted access to their data in connection with the registry. By viewing the players’ individual practices, the coach or managerial person can examine summaries of the performances to which the user has granted access in connection with the registry. The purpose of the Xampion for Teams Service is to enable easy sharing of exercise performances with other Service users. The person sharing the exercise performances shall always be solely responsible for sharing the data. Progda’s Xampion Mobile Application may use and save location data provided by the users for measurements carried out during the practices. You may disable the location data, but then you cannot utilise the spatial data properties in your practice. The data generated by the Xampion for Teams Service users can be used for generating summarised team statistics and for team member ‘top lists’. The coaching staff or other users responsible for the entire team’s data cannot see a user profile’s details or the user’s data on the level of an individual entry unless the user allows this in the settings of the Xampion Service. The team’s managerial persons can view the names and email addresses of the team community members. In most cases, the members are invited to the community by a managerial person. The managerial persons of teams can view the summarised team statistics and the ‘top lists’ of the most active team members. 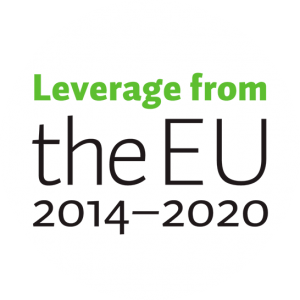 Data disclosure and transfer outside of the EU (the EEA): The user’s personal data or contact details shall not be sold, rented, borrowed or disclosed. If the Service or the Service Provider’s share capital is sold, the customer data may be transferred to the acquiring party. We shall not transfer personal data outside of the EU (the EEA). The user’s personal data may be transferred to servers used for hosting the Service within the EU. Sharing data within the user’s club. When registering to the Service, the user has granted the permission to share their data with the team’s coach(es) and the person responsible for the club’s coaching or to a person in a similar position. If the user is a minor, a consent of the user’s parent has been requested for sharing the user’s data in the aforementioned manner. A minimum of 10 Service users (players) within a team is required for publishing the team’s average result lists for the team’s other players. A minimum of 20 player users is required for publishing a top 5 list. 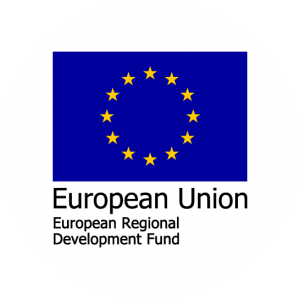 The Service data is stored and password-protected in servers hosted by Microsoft (Azure) within the EU. The Service data backups have been saved in servers hosted by Microsoft within the EU (https://www.microsoft.com/en-us/trustcenter/Security/AzureSecurity). The Service Provider shall use its best endeavours to protect the users’ data. No data security system is completely secure, and the data security risk is always present in all systems. The buyer of the Service understands and accepts that network-based data transfer is never completely private or secured. Identification: If you have logged on to Progda’s or Xampion’s website, the cookies help us show you the desired content and personalise your experience. Settings and properties: The cookies help us provide the Service in the language you want and offer the properties of your choosing. The buyer of the Service understands and accepts that the use of the Service and all other activities related to the use by the buyer or the users shall fall within the buyer’s responsibility to the broadest extent allowed by law. For the sake of clarity, this limitation of liability shall, without exception, extend to all direct and in direct responsibilities that are not related to the functionality of the Service. Progda or any third party that has participated in creating, producing, delivering or updating the Service shall not be responsible for any collateral, special, exemplary, indirect or consequential damages such as lost profits, loss of data or goodwill value.